I have had a passion for food since I was a teenager at my first summer job at a restaurant in Maine. This particular restaurant sold lobsters caught by local fisherman right in front of the Islesford Dock Restaurant. It can’t get much more local than that. Over the years, the restaurant has developed a garden behind it, and sources as many vegetables from that garden as they can. My summers at this restaurant, and my years in the restaurant industry in Boston have cultivated my appreciation for food. I am increasingly intrigued with the idea that we can equalize the way that individuals in a rural community eat, and how the individuals in a city obtain their food. 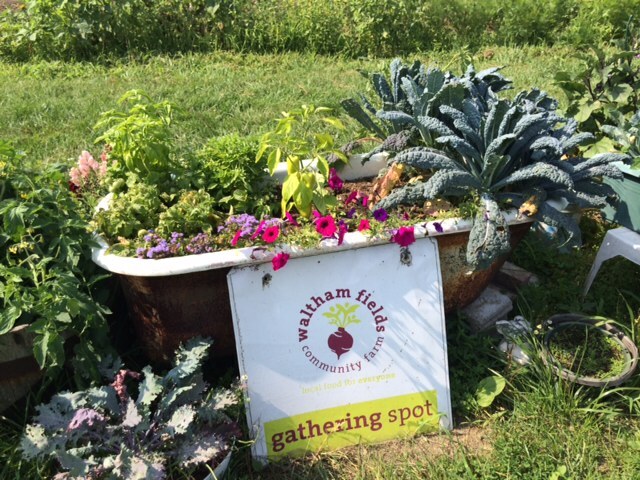 In our class we have mixed classroom discussions with informative visits to both urban and rural farms including, Waltham Fields Community Farm (WFCF). Driving up to the farm with two other classmates, I was taken aback my how large it was. Living in Watertown, just one town over from Waltham, how did I not know that this existed? The parking lot of the farm with the bounty of produce, and the welcoming volunteer area assured me that it was going to be a good day. I was excited to get my hands dirty, and spend three hours in the sun with my friends. The day we volunteered we were assigned to the “weed crew” and it was interesting learning about WFCF from their perspective. WFCF has such a deep connection to the community, supporting hunger relief, promoting local agriculture through educational programs, and connecting people to their food supply. It was extremely rewarding being able to see first hand how a working farm in the city can make such an impact on the community. Getting my hands dirty, and being able to learn from the “weed team” about how hard it is, and how many individuals it takes to run this particular farm were eye opening. My three hours spent there was just a fraction of the time others spend to ensure that people can eat fresh vegetables. 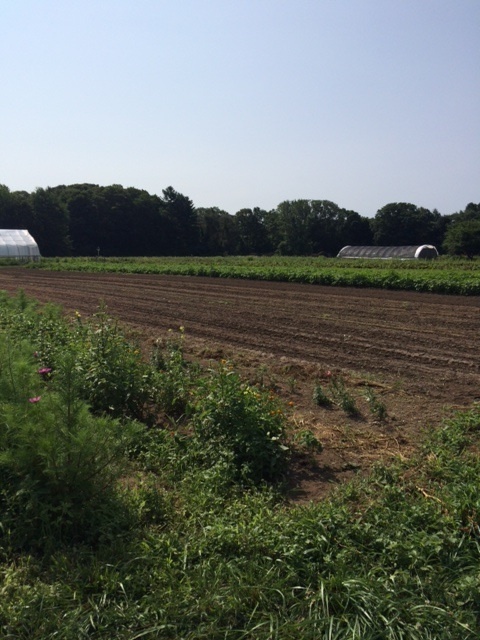 Urban agriculture and urban farming is not an individual act of labor. Not only is the community touched by the food that the farm produces, it brings together all the individuals that help grow the food. The educational programs run by WFCF are amazing, touching many individuals with a common goal. Adults and children are given the chance to plant, weed, learn the process of composting, learn facts about the wildlife that surrounds our city, and cook with the bounty they sow. The first step in connecting the way we are able to eat in a rural setting, and they way we are able to eat in an urban setting, is educating people about how it doesn’t have to be so different. Two readings that were assigned to us made a big impression on me. The first being Caitlin Flanagan’s article, “Cultivating Failure: How School Gardens are Cheating our Most Vulnerable Students”. In this article that author focuses on the California public school systems and their use of gardening in their curriculums. She argues that we are hindering our children by focusing too much on farming and gardening and less on math, reading and writing. It brings into question of whether or not we are actually teaching our children the same information as we were years ago, or are we going to far back to the land? Flanagan pays attention to Alice Waters’ program called Edible Schoolyard Program. She states, “What evidence do we have that participation in one of these programs—so enthusiastically supported, so uncritically championed— improves a child’s chances of doing well on the state tests”. It saddened me that Flanagan’s conclusion, because of lack of research findings, that school gardens in fact not helping the next generation of leaders. From my limited knowledge and my overwhelming desire to have had a curriculum that teaches through experience, I am determined to find more research that disproves her theory. Growing up, I was not very good at taking tests, and always excelled more in projects and presentations. I can only imagine what I would have gained from hands on experience in a garden. Who is to decide on what proves knowledge? 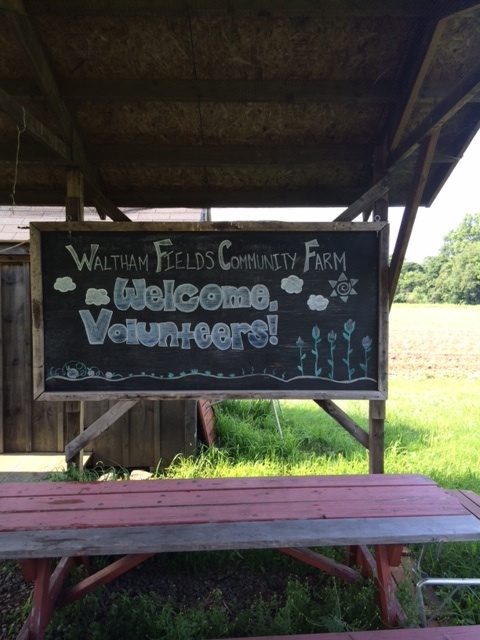 My overall experience at the Waltham Community Farm was extremely beneficial and rewarding. I not only had a great time with my peers and friends, I met two individuals who taught me a lot about team work, self motivation, communication and appreciation for where my food comes from everyday. If I learned these things as an adult in the three hours that I spent there, I can only imagine what they are able to teach children that come to the farm on regular basis. In my personal opinion, gardening and farming, can only benefit the children in our communities and other communities around the country. This is not to say that reading, writing and math are not essential as well, but I believe no harm can come from teaching our youth where their food comes from and how we can all work together to grow everyday. Flanagan, C. (2010). Cultivating Failure: How School Gardens are Cheating our Most Vulnerable Students. The Atlantic. Williams, Dilafruz R., Dixon, P. Scott (2013). Impact of Garden-Based Learning on Academic Outcomes in Schools : Synthesis of Research Between 1990 and 2010. Review of Educational Research.